To change this, I needed to have a manual activation. I found some UX reflexions and some gamasutra articles to understand what movement could be used as a trigger. This is where I remembered Osu ! and Elite Beat Agents ! If you didn’t try these game yet I suggest you go for it ! 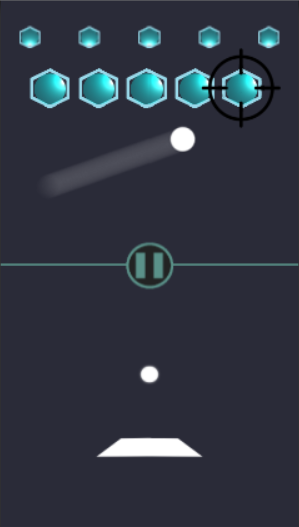 These games are rythm games based on touching/dragging/holding things with the right timing. I don’t have the timing notion in my game but they convinced me that I could use the drag mechanism to activate the bonus. Drag the blue circle to activate your bonus ! After implementing the system…. It seem to work and the testers have no difficulty to use it. Although they don’t like loosing control of the shield while activating the bonus, it proves to be challenging and you can definitely surprise your opponent with it ! I put it in the opponent area to avoid any accidental shield movement. Last post we created a menu, but it definitely lacked personality so I needed to have the same design as the whole game. I wanted to give a more professional touch to my game, so I wanted a main menu. I decided to reuse the graphic chart of the game background as a base for all the elements. First step was to create some logo for the splash screen. After this the next step is to create the rest of the menu. I used the core shapes to design all the buttons of the interface and then used the “Pause button” as a template for all the colors. 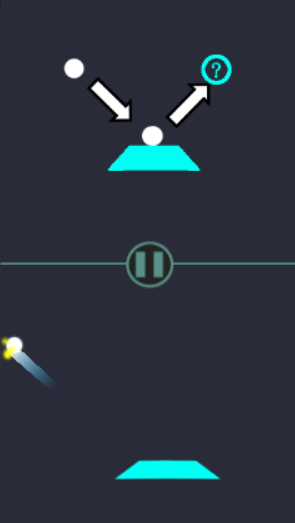 The “?” icon is to launch the tutorials, while the “i” button on the top is to display the credits (I used sounds from another guy so I need to give him some credits). 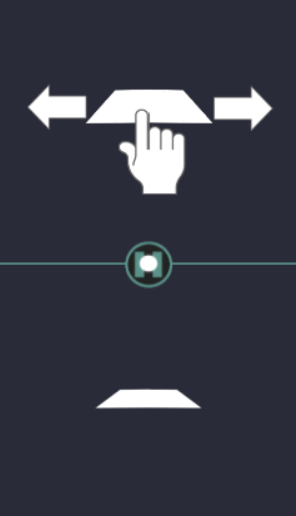 The central button is the one to launch the game. For the difficulty levels, I choosed to go with smileys to explain it. I also added an option to use bonuses or not, it was not a big change and it can help people learning the game (and maybe create an Esport scene… Nah I shouldn’t count on that !). My GIMP levels are off the charts now ! Last but not least, the game desperately needed a tutorial to explain how to play with pictures and actions. This youtube video is not perfect but highlights some points in how to make a good game tutorial. My tutorials are 3 short scenes,each of these scenes highlight on one action : move the shield, use the bonuses and destroy the cores. I didn’t want to use text so I tried to create graphics that could explain each expected action and results. There are too many touchscreen movements, it’s hard to choose one for an action. Choose wisely depending on your target. If you think you invent something new in video game in 2017, it’s probably that you didn’t search enough. More GIMP, my GIMP levels is over 9000 ! Okay maybe not that much but at least I can start to create things more complex than just a polygon. Just two words : OPEN BETA !